This all-in-one reference guide will help students, researchers, and interested readers make sense of the infamous election of 2000. 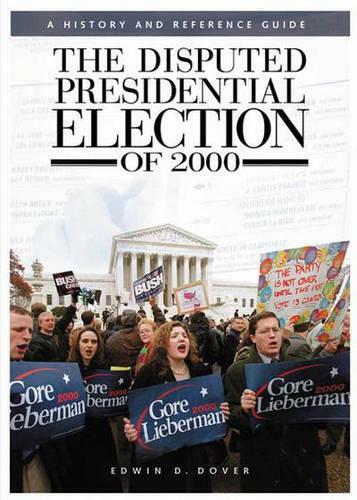 Following an overview of the 2000 presidential race, five essays spotlight separate issues related to the race and its outcome. Biographical entries cover major players in the story. Primary documents from court cases show the actual wording of the legal decisions. Millions of U.S. citizens can easily operate ATMs, yet elections for the nation's highest office still involve manual ballot counting, punch cards, and dangling chads. Why? This all-in-one reference guide will help students, researchers, and interested readers make sense of the infamous election of 2000. Following an overview of the 2000 presidential race, five essays spotlight separate issues related to the race and its outcome. Biographical entries cover major players in the story. Primary documents from court cases show the actual wording of the legal decisions, and Dover considers into the political and legal issues behind the actions and rulings. Additional essays consider the role of federalism in national elections and the relevance of the Electoral College itself. The potential long-term consequences of the election are examined. Will there be sweeping changes in future presidential elections? In what areas will they appear? Finally, an annotated bibliography selects and reviews the most important responses written about the election. This guide is indispensable to anyone wanting to make sense of this perplexing historical event and electoral politics in the United States.